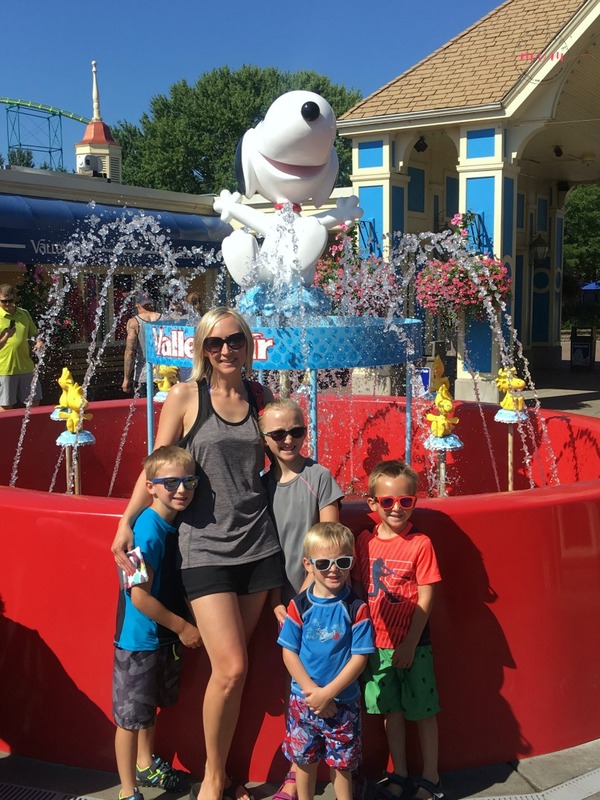 We had the privilege of bringing our kids to visit Valleyfair amusement park in Shokopee, Minnesota for the first time ever last weekend. We visited to attend their weekend Beach Bash and there was a LOT of fun to be had. 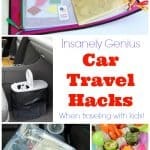 I’ll give you insider tips on what to pack for your trip to Valleyfair amusement park, which rides are a must, how to save money on food plus more tips you want to know! 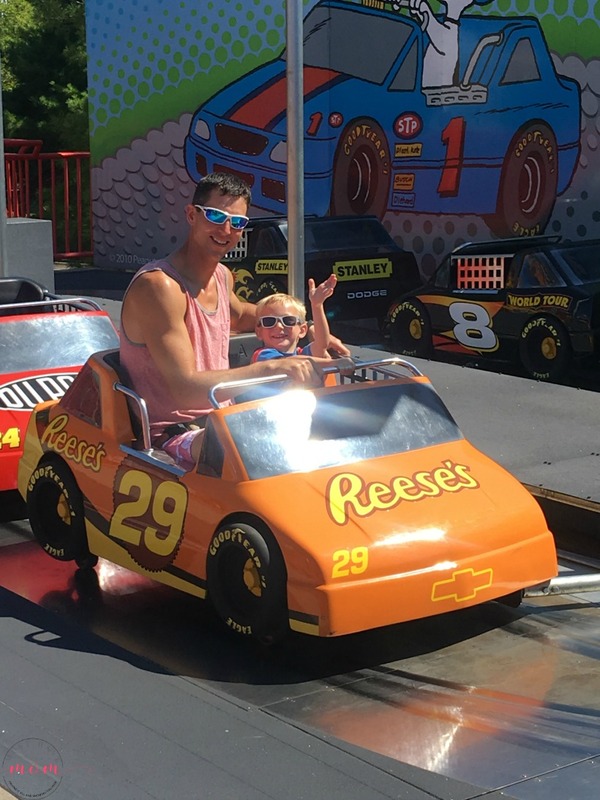 We headed down to Valleyfair on July 29th for the Valleyfair Beach Bash which promised a steel drum band, games for the kids, a kids dance, a pig roast and more. We were SO excited. 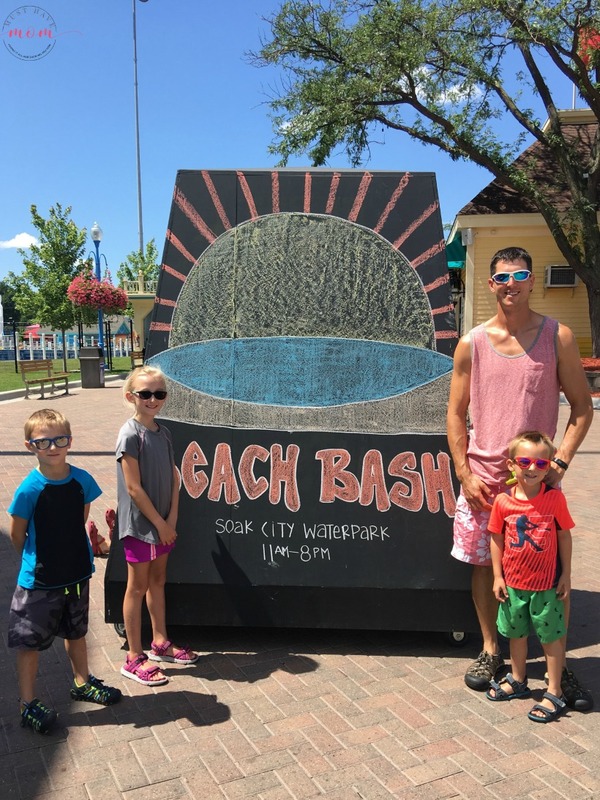 Valleyfair often hosts special events such as this Beach Bash, including upcoming events like the Corn Feast, Dollar Days and Coaster Campout! For a list of all the special events at Valleyfair click here. Our trip started out by planning online! We checked out Valleyfair’s list of special events, checked the weather and picked a weekend to go. 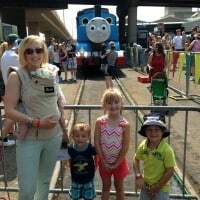 We then discovered that you can save money by planning ahead and purchasing tickets online. When visiting Valleyfair with your family I would highly recommend you buy your parking online (you’ll save $5), purchase an all day dining pass or two and buy a souvenir cup. One of the biggest complaints I saw online in trip reviews was the high cost of food and drinks at Valleyfair. By planning ahead you’ll save a TON. The souvenir cup will get you free refills all day for just $11 (versus $4.50 per beverage in the park) and the all day dining pass lets you get an entree and a side every 90 minutes at a price of just $29.99. That means you can buy a couple and everyone in your family can take turns eating every 90 minutes as people get hungry. We bought a dining pass for the kids and we enjoyed the awesome pig roast! I mean how could you pass up a pig roast? It was a great value at $14.29 for the platter. The amazing thing about Valleyfair is that your admission price not only gets you access to all the amazing roller coasters and rides for all ages, but it also includes admission into Soak City Waterpark. The coolest place in the Upper Midwest to slide, splash, chill and dine. 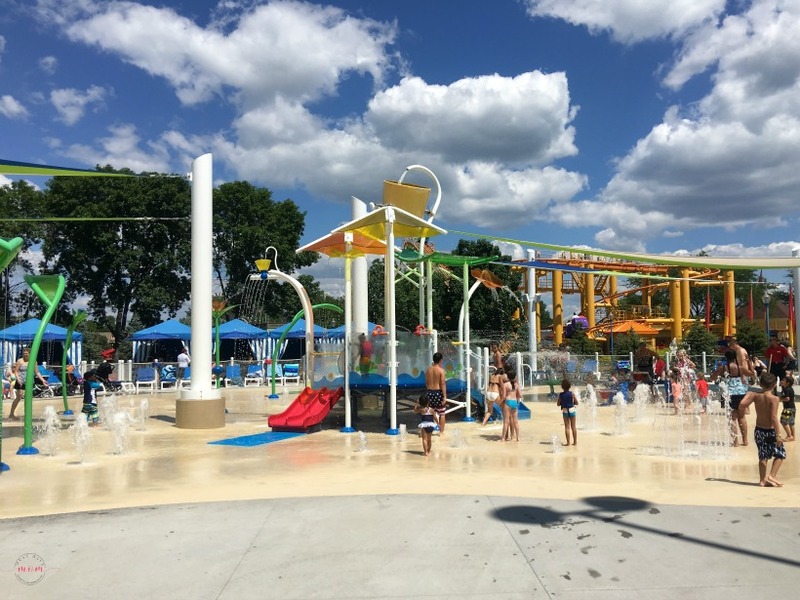 From the drop of Breakers Plunge to the splish-splashin’ fun of Splash Station, the attractions of Soak City are sure to please every water lover! If you want to race your friends, check out Breakers Plunge which features the tallest side-by-side speed slides in the US (90’). Or, if riding the waves is more your speed, Breakers Bay Wave pool is the largest in the area with 350,000-gallons of water. Either way, there is something for every age! Once we had our trip all planned out and read up as much as we could, it was time to pack! So what should you pack for your trip to Valleyfair amusement park? I’ve got the comprehensive list below so you don’t forget a thing! 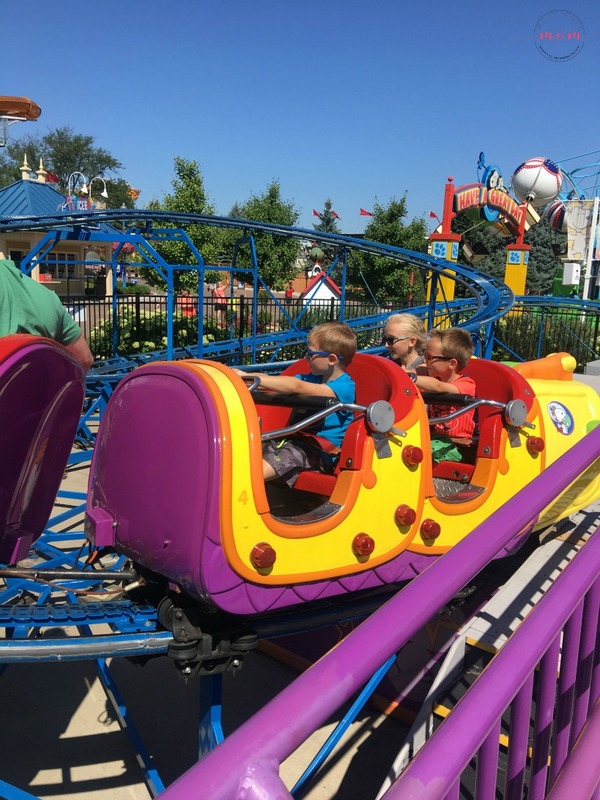 Since this was our kid’s first trip to Valleyfair we were excited to find out what the must-do rides were. 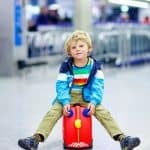 Our kids are ages 3, 5, 7 and 9 so with a wide variety of ages and heights there was a lot of varying abilities and interests. I’m thrilled to report that there was plenty to do for every age group we had. 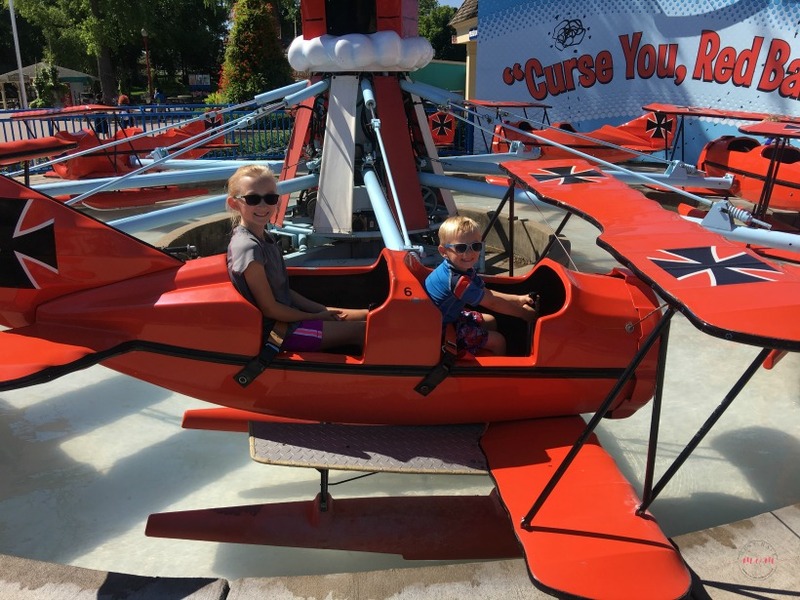 My younger two children loved the Snoopy roller coaster and race cars in the kids park, while my older two kids braved Wild Thing which was a crazy awesome roller coaster! They all had a blast! Despite the kids varying ages, there were plenty of fun rides for all of them! After we did some rides we made our way to Soak City Waterpark as the day got hotter. I couldn’t wait to cool off in the water and the kids were antsy to get in the water too! The splash pad was great for our younger kids! The whole family enjoyed the lazy river. My husband and I took turns going down the big water slides with our older two kids, which were a blast! There was definitely something for everyone in the water park. Since it was also the big Beach Bash there were added activities going on including a steel drum band, kids dance, pig roast and more. All of our kids LOVED the wave pool and we hung out there for the majority of our day. We loved all the added activities they had going on for the beach bash too! It was so much fun. I would recommend buying a locker rental for your time in the waterpark area. It was really nice to be able to leave my backpack with my cell phone and credit cards in a secure locker while we enjoyed the water activities. The small lockers are $15 and for the peace of mind that our belongings were safe and secure, it was money well spent. Before you plan your trip to Valleyfair be sure to check out their special events! It is well worth going during a special event. While there were a lot of people at Valleyfair when we were there, the lines were not long and we were able to easily do everything we wanted to. The staff was great and we had an amazing time. We found the park to be clean, the atmosphere to be fun and we felt like we needed more than one day to do all of the fun activities that surrounded us. Our kids can’t wait to go back again! *This post sponsored by a partnership with Blog Meets Brand and Cedar Fair. This looks like a great place to enjoy some major family fun. I love the suggestions for what to bring, as well. Thanks for the heads up! Yes! It is a blast for the entire family. Thanks for stopping! Valleyfair Amusement Park looks like a lot of fun! Never can be too prepared for time at the beach, especially water-proof bags for cell phones! The last time I was at a beach we didn’t have cell phones! Haha yes that was a first for me and the waterproof bag was a great thing to have! Awww, that looks like a wicked cool amusement park! I know my kids would have a BLAST there. Your trip to the park must have been so much fun! Finishing the day off at the water park was a great idea. Great recommendations. It sounds like a great park and the on-line deals before are a great idea. I love your tips and they can be used at a park near us. Waterpark at the end is a good way to cool off. This looks like so much dang fun! I wish we had something like this for my kids. i know they would have a blast! What a fun way to spend the day with the family. Definitely a good idea to purchase the meal pass. Yes, the meal pass turned out to be a great deal! This brings back memories! I used to go to Valley fair when I was a kid. It was one of my favorite places to go. I have moved away from there now and it looks like they have really built up. I can’t wait to go check it out again. Yes it was so fun to see what they had added since I had last been there. The waterslides fast, faster, fastest are still there but no longer called that and there is a whole new section of water slides now. So much fun to see it all again! The Valleyfair Beach Bash looks like it was so much fun. I love to go to things like this with my family. I am hoping to make it for next years bash. Yes it was so much fun! Valleyfair is fun any day but this was extra special! I wished we lived closer. This place looks like so much fun! I love that you were able to enjoy this fair with your family. 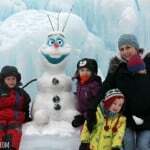 I’d love to check this out with my husband and three kids too! Wow my kids would LOVE this!! How fun! I live in MN also and haven’t been to Valley Fair for ages. Will want to go again after seeing your post! Oh that is awesome! We hadn’t been there in a long time and it was so much fun to go back and see the new attractions and our favorites from before!